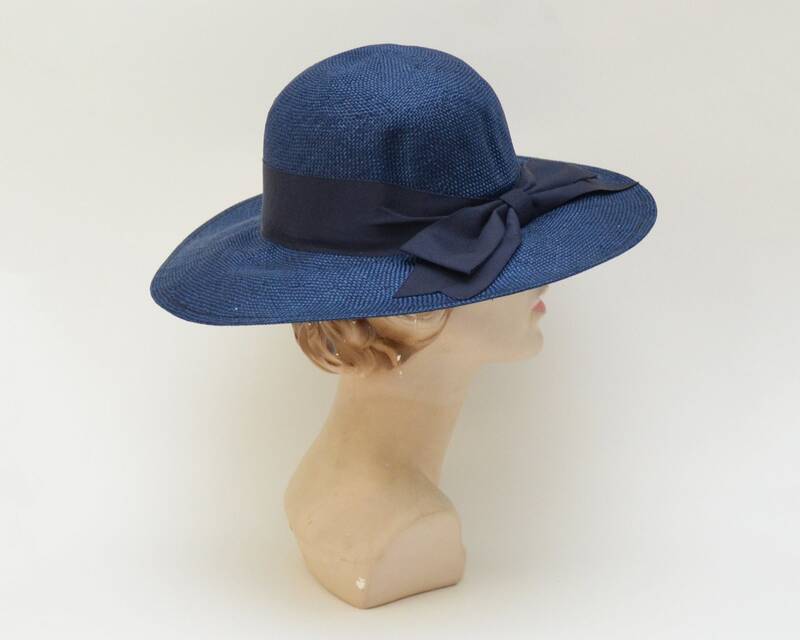 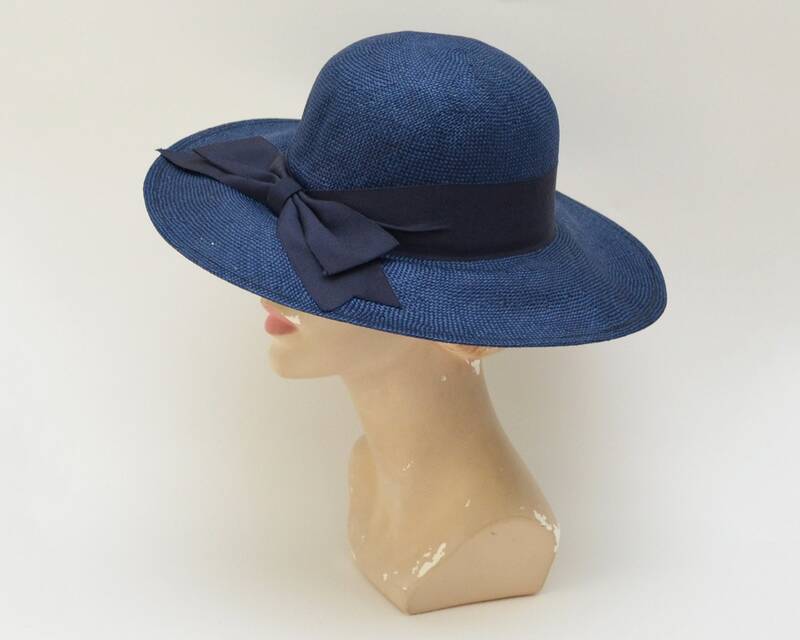 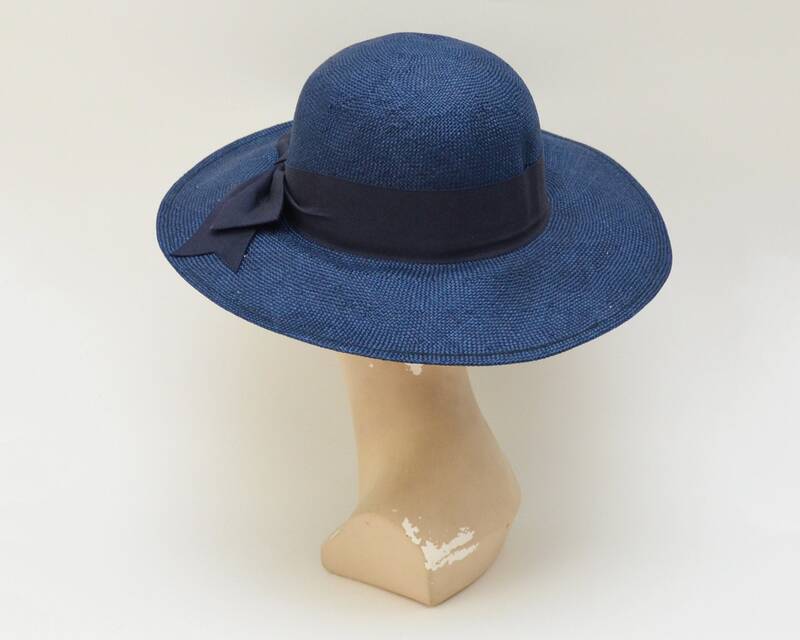 A chic navy blue wide brim hat with a bow accent. 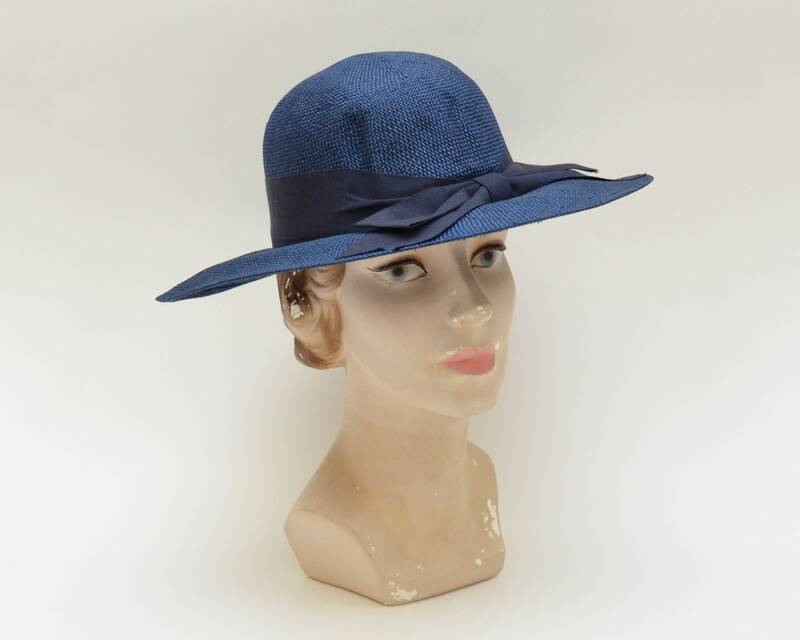 Tightly woven synthetic straw, no lining inside. 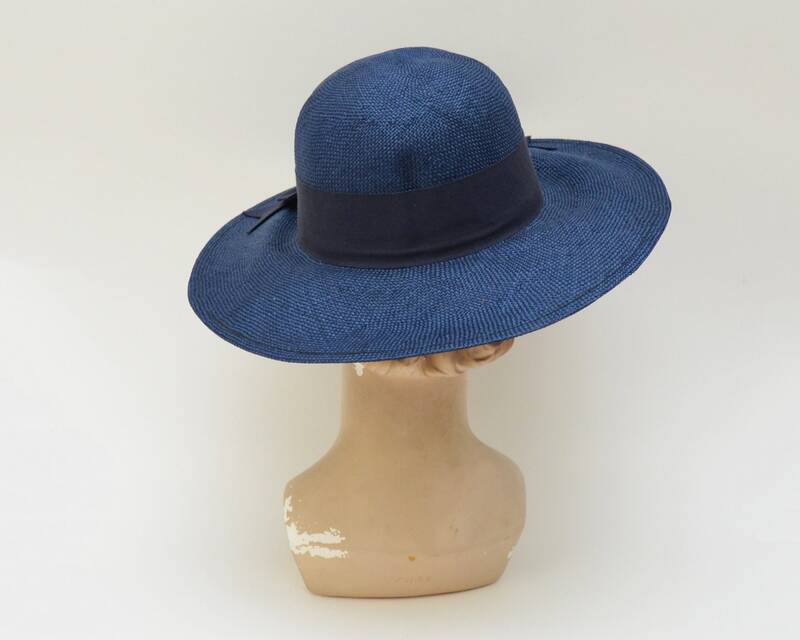 No notable flaws.